What is Tamoxifen? Tamoxifen (trade name Nolvadex) is a drug in pill form, taken orally, that interferes with the activity of estrogen (a female hormone). Tamoxifen has been used to treat both advanced and early stage breast cancer. It has been used for nearly 20 years to treat patients with advanced breast cancer. More recently, it also is being used as adjuvant, or additional, therapy following primary treatment for early stage breast cancer. How does Tamoxifen work in preventing or delaying breast cancer recurrence? Some breast cancer cells are "estrogen sensitive." In other words, estrogen binds to these cells and stimulates them to grow and divide. 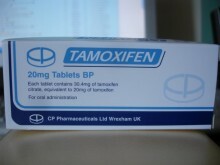 Tamoxifen prevents the binding of estrogen. This stops the cells from growing and in doing so, prevents or delays breast cancer recurrence. Tamoxifen is also known to work through growth factors and the immune system and may provide some benefit even in patients whose tumors are not estrogen sensitive. A recent study published in The Lancet (May 16, 1998) found that taking Tamoxifen for five years significantly reduces both breast cancer recurrence (42%) and mortality (22%) for all women. Results found that premenopausal women, not just postmenopausal women, and those whose breast cancer has spread to the local lymph glands benefit substantially from Tamoxifen therapy. Are there other beneficial effects of Tamoxifen? Although tamoxifen blocks the effect of estrogen on breast tissue, it acts like a weak estrogen in other body systems. This means that women who take tamoxifen may share some of the beneficial effects of taking estrogen replacement therapy, such as a decreased risk of osteoporosis and a decreased risk of heart disease. 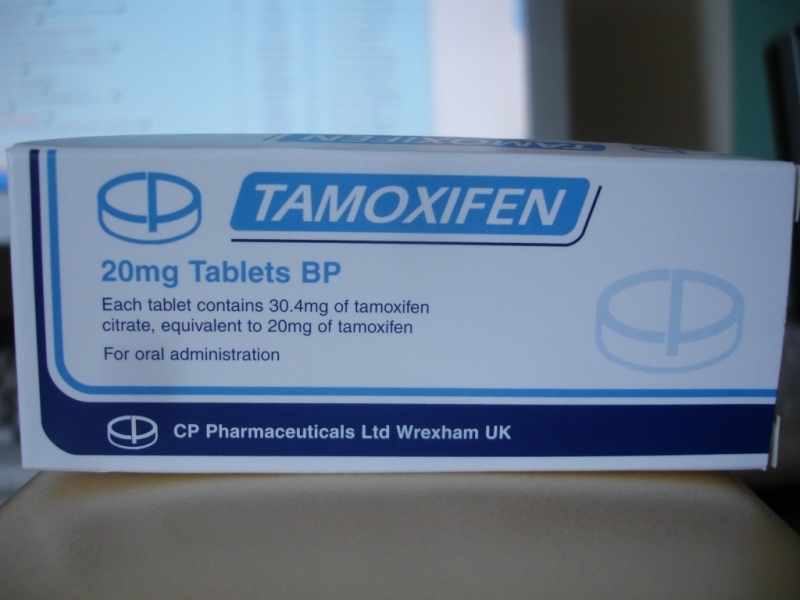 What side effects should I expect from taking Tamoxifen? The most common side effect is hot flashes similar to those experienced during menopause. Tamoxifen may induce menopause in a woman who is close to menopause; however, it rarely does in young women. Other common side effects include vaginal dryness, irregular periods, and weight gain. In addition, women taking Tamoxifen may be at slightly increased risk of developing cataracts. Women who have cataracts before taking Tamoxifen may be at slightly increased risk of needing eye surgery to remove the cataracts. There has NOT been a generalized decrease in vision in women taking Tamoxifen. It is recommended that women taking Tamoxifen have eye examinations by an opthalmologist at least every 2 years. What is the risk of developing uterine cancer from taking Tamoxifen? Many experts believe Tamoxifen may increase the risk of uterine cancer. There have been some reports of uterine cancer in women taking Tamoxifen. However, the incidence is less than 1% in women taking doses of 20mg daily. Most cancer specialists believe that the benefits of tamoxifen outweigh the risk of developing uterine cancer. However, all women using Tamoxifen should have regular gynecological exams. How long should I take Tamoxifen? Recent research comparing five years of adjuvant Tamoxifen therapy with more than five years of Tamoxifen has indicated that no additional benefit is obtained from extending the duration of Tamoxifen therapy past five years. However, completing five years offers greater benefit than shorter durations of Tamoxifen therapy. Additionally, the medical literature on adjuvant therapy shows benefits as long as 10 to 15 years after starting tamoxifen or 5 to 10 years after stopping it. Considering all the current research data, five years of Tamoxifen therapy provides the optimum benefit. What is the link between Tamoxifen and depression? Occasionally, women experience some of the same mood changes with Tamoxifen that occur with any hormonal therapy. However, most patients experience no change in their mood as a result of taking tamoxifen. Click the button below to add the Tamoxifen (Nolvadex) 20mg x 100 Tablets to your wish list.